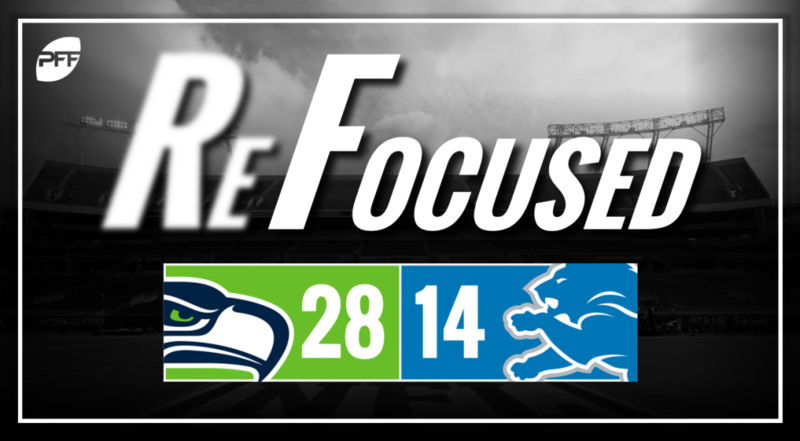 The Seattle Seahawks defeated the Detroit Lions, 28-14, in Week 8 of the 2018 NFL season. Russell Wilson was unconscious, as he had a perfect passer rating with his play backing up the numbers. Precise with his throws and delivering some big-time throws downfield, Wilson picked apart a Lions secondary that didn’t play all that poorly. The Seahawks continued their efforts to establish the run, and if it wasn’t for the vision and move of Chris Carson, it wouldn’t have worked. Carson averaged 3.4 yards after contact per attempt, as the offensive line struggled to make much room for the generational talent. Seattle did its work up front by controlling the line of scrimmage. In run defense and rushing the passer, the Seahawks controlled the tempo of the game. Detroit’s offensive line bought more time for Matt Stafford as the game evolved but struggled when the Seahawks ran twists. The Seahawks’ zone defense did its job, frustrating Stafford and forcing him into bad throws. Damon “Snacks” Harrison was unbelievable in his first game for the Lions. He continually gave the interior offensive line of the Seahawks problems, as they seemingly could not block him in the run game all game long. The only problem was that he couldn’t cover the Seahawks receivers. The secondary will end up grading below average, but they were in tight coverage for most of the game. Wilson threw with pinpoint accuracy, and the Seahawks receivers created subtle separation at the catch point. Teez Tabor was on the wrong end of most his targets, as he was unable to break up any of his targets he contested. Stafford made some nice throws, but he also forced some passes into coverage. He misread how the Seahawks’ defensive backs were playing on multiple occassions. The Lions fell behind early and had to throw more than they probably wanted to entering the contest. Wilson simply could not be stopped. Despite the efforts of the coaching staff to establish the run and take the ball out of his hands for two-thirds of the plays, Wilson delivered and showed why he is an elite quarterback in the NFL. Stafford & Co. couldn’t rally back into the game after going down early largely because of the Seahawks’ stout secondary.